Photo of the Day: Butternut Squash Macaroons! I love it when they look like this, without the tops…. Would it be weird to say that it vaguely reminds me of the Fisher Price toy rings? 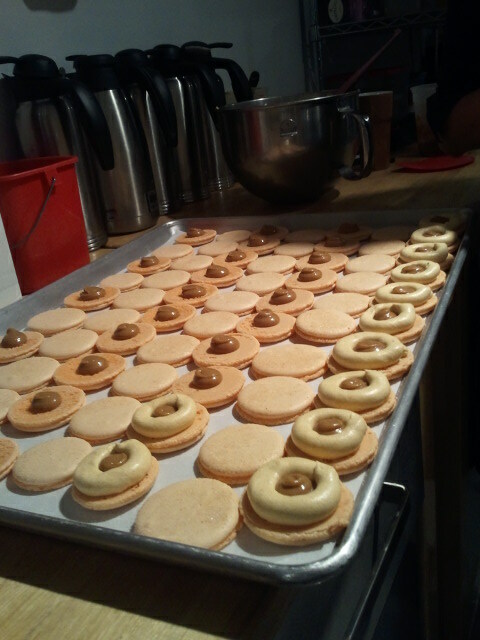 Anyway, these are the butternut squash macaroons with maple caramel centers in the middle of assembly. Filed under Photo of the Day!. ← James Beard House: Greens Holiday Party!